Raijinteks first all-in-one water cooler named Triton combines optimal processor cooling capability. The extraordinary performance is made possible by utilising a waterblock made of nickel-plated copper with micro channels, a 240mm Radiator with a high fin density along with a high-grade low-noise pump. 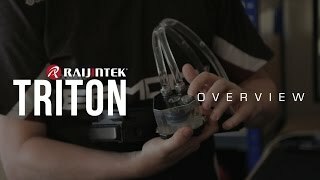 More links for "Triton Core Edition AIO Water Cooling Solution"
Pump broke after 13 months. Trying to RTM with Raijintek. This comes as a closed loop system (yes you can open it to add dye), however Raijintek insist on me sending only the pump back, not the whole thing attached as it came to me...which is a hassle to say the least (considering the idea of an AIO is that you don’t have to deal with the nitty gritty). Can’t help but think corsair would have accepted a RTM without any issues. 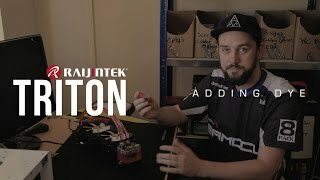 "Today I have awarded the Triton Core from Raijintek with our Gold Award as it ticks all the boxes an AIO CPU cooler should. It has great performance in an aesthetically pleasing package at a price that won’t break the bank."